Masquerade Mardi Gras 9oz. Hot / Cold Paper Cups 8ct. 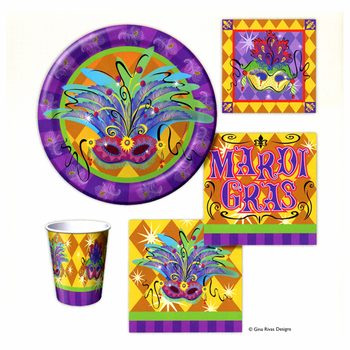 This Mardi Gras 3-D foil star burst comes in the traditional colors of green, gold and purple.